Really BAD, but worth watching. 'The Room' has a new contender. I love bad movies, and this one takes it to a whole new level. Bad writing, cinematography, editing, and TERRIBLE acting. Starring the director/producer, Alexander Nevsky, who can barely speak English. His acting is so wooden I think the blue fairy JUST turned him into a real boy. 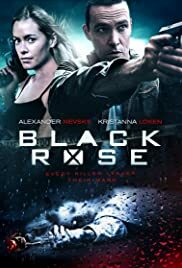 Co-stars Kristanna Loken, she played that Terminator 3 robot who never spoke(Perfect casting after seeing this movie). The director also gave his girlfriend, Oksana Sidorenko, a bit part. Probably because everyone else read the script. 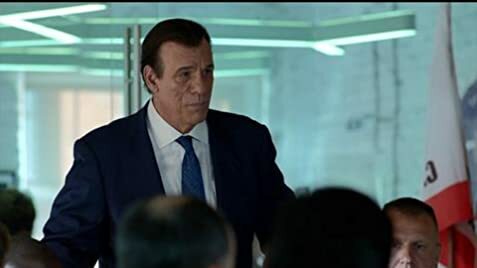 Adrian Paul(star of the Highlander tv show), and Robert Davi did alright considering the script and complete lack of understandable direction. The movie was 83 minutes long, but with all the completely random b-roll and unnecessary sequences it could be 30 minutes long. It's as if the editor decided that half the movie was unwatchable and cut it out. Then said to somebody, "Stick a camera out a car window and drive around. That'll fill up some time!" One example: In the beginning he visits the ocean for 5 minutes and then it never comes up again. Why did he stare at seagulls 5 minutes?! All and all, this is one of the worse movies I've ever seen. A great example of how not to make a movie. And that is why it's worth watching.